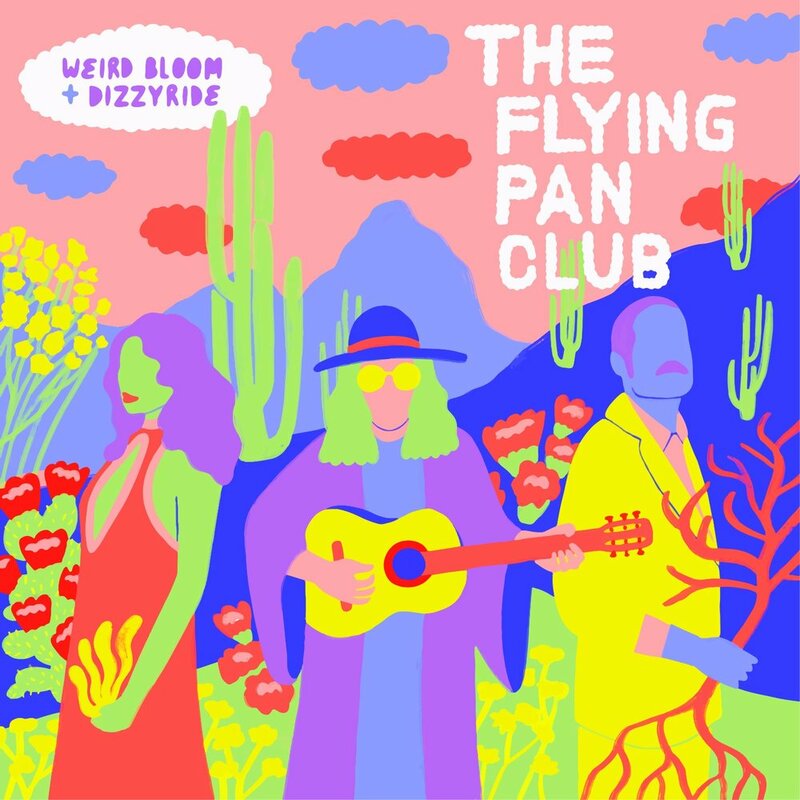 ‘The Flying Pan Club’ by Weird Bloom and Dizzyride now! (Luca Di Cataldo) and the Italo-Canadian duo Dizzyride (Zoë Kiefl e Nicola Donà) team up in the new EP ‘The Flying Pan Club’, available for streaming on all digital platforms. Recorded at POM POM studio in Rome, the band combines psychedelic sounds with the magnetic 60s Freakbeat for a dreamy, cinematic and dizzy vibe. Hints of Italo-Disco, synth-infused tracks and extravagant lyrics is what makes ‘The Flying Pan Club’ a new experimental chapter in Weird Bloom and Dizzyride’s fluorescent universe.